 BIG TOM — THE WORLD'S BEST BLOODY MARY ! Hectic lifestyles and long working weeks have generated a new Sunday morning bar culture that's gripping the UK, appealing to those whose motto is 'Work Hard, Play Hard!' The stylish Sunday morning bar brunch is taking off across the country, with bars like Revolution and Bar 38 seeing up to a 40 per cent rise in Sunday drinking in recent times. Relaxing in a stylish city bar surrounded by the Sunday papers and chilled-out lounge music is the new vogue way to get over the excesses that a Saturday night may bring. Bars such as Revolution, All Bar One and the Ha Ha Bars, who have catered for this trend for several years, have benefited greatly from this increase in the popularity of Sunday brunch, with key indicators such as the rate of Bloody Mary sales showing terrific sales growth. Now more pubs are getting in on the act, including Bar 38, Hogshead and Chef & Brewer. The team at James White Drinks, makers of Big Tom, recently linked up with several UK bar chains, including Revolution, to research the Sunday brunch phenomena across the country. The findings showed that the Sunday bar culture is very much alive, with many revellers from the night before choosing a therapeutic Bloody Mary instead of wallowing in bed with a couple of Paracetamol! 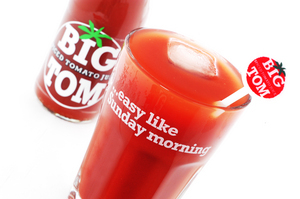 "Sales to pubs and clubs of Big Tom, our spiced tomato juice that makes the perfect Bloody Mary mix, are growing in leaps and bounds," said Lawrence Mallinson, managing director of James White Drinks. "It's taken us a few years to convince the sceptical pub world that this brunch phenomena could spread further than Notting Hill, where every single bar now does a Sunday brunch, but the evidence is now clear for all to see. "Our researchers visited several big cities where they found so many bars getting in on the act. The trend may have originated in the cool bars of stylish London suburbs but we've seen a steady spread across the capital and it's now hitting major UK cities such as Leeds, Birmingham and Newcastle. In fact the team we sent to check out the Sunday morning scene in Newcastle upon Tyne now all want to be based up there!" Revolution,the biggest vodka bar chain in the UK, has seen a dramatic rise in Bloody Mary orders, with sales nearly doubling compared to this time last year as well as more Sunday revellers enjoying the ambience. Clive Greenhalgh, area manager at Revolution Bars, said: "The atmosphere on Sunday is always relaxed and we do our best to ensure customers enjoy brunch in a laid back atmosphere, with soft lounge music and a pitcher of Bloody Mary. People are working harder and longer than ever before and don't want to waste time lying in bed, just because they've overdone things on a Saturday night. The rise in footfall over the past year has well and truly proved that the Sunday morning brunch is the definitely the cool new way to chill out." And Adam Vallis, Area Manager at Bar 38, also confirmed that sales of Bloody Maries had increased dramatically over the last six months. 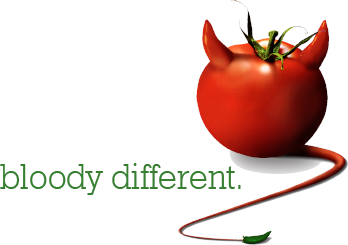 Adam commented: "Our Bloody Mary sales have risen by 30 per cent, especially on a Sunday, with more people opting to enjoy the chilled out Sunday atmosphere to recover from their Saturday night excesses."